THE Singapore appellate court has allowed local academic James Michael Dorsey to appeal a High Court ruling that ordered him to divulge his sources for a blog post that a company has claimed is defamatory of it. Mr Dorsey, a senior fellow at Nanyang Technological University's (NTU) S Rajaratnam School of International Studies, is appealing an order by Justice Judith Prakash to name the sources that he quoted in a blog post entitled "FIFA investigates: World Cup host Qatar in the hot seat". Justice Prakash found that his sources had "prima facie breached their duties of confidentiality" under a master rights agreement between events management firm World Sport Group (WSG) and the Asian Football Confederation (AFC), and ordered him to disclose if a copy of the agreement had been given to him. WSG had tried to block Mr Dorsey from appealing on the grounds that "the order of the Judge giving pre-action interrogatories was not appealable". But Chief Justice Sundaresh Menon, who delivered the grounds of decision yesterday, found that Mr Dorsey has a "right of appeal to the Court of Appeal against the order of the Judge giving pre-action interrogatories". In ordering the appeal to be heard "on its substantive merits", CJ Menon noted that the action brought against Mr Dorsey is one purely for the discovery of information. "This is separate and distinct from proceedings which may subsequently be commenced by the party having obtained the information. In these circumstances, it would be incorrect to treat an application to administer pre-action interrogatories as an interlocutory step in proceedings," he wrote. "Accordingly, we conclude that an appeal against an order made on an application for leave to administer pre-action interrogatories does not come within any of the limitations prescribed in ... the Supreme Court of Judicature Act," he added. CJ Menon also ordered WSG to pay Mr Dorsey the costs of the application, fixed at $5,000 inclusive of disbursements. WSG, which is represented by Senior Counsel Deborah Barker of KhattarWong LLP, started pre-action discovery proceedings last year against Mr Dorsey to compel him to identify the parties responsible for publishing a confidential report by PriceWaterhouseCoopers Advisory Services, which allegedly contained statements defamatory of WSG. The report, prepared on the instructions of the AFC and its Malaysian lawyers, reviewed transactions, accounting practices and contracts negotiated under the tenure of its former president, Mohamed Bin Hammam. In agreeing that Mr Dorsey's article contained defamatory statements, Justice Prakash noted there was "an innuendo that (WSG) was involved in corrupt practices", including paying bribes to Mr Bin Hammam to secure the master rights agreement. Represented by N Sreenivasan, SC, of Straits Law Practice LLC, Mr Dorsey has alleged the report is not confidential and that WSG ought to direct its planned lawsuit against AFC for "disseminating" the report. Mr Dorsey also argued that even if the contents of his article were defamatory of WSG (an allegation he has denied), they were fair comments. Source: Business Times © Singapore Press Holdings Ltd.
To view the judgment, click <here>. Copyright 2013. Xinhua News Agency. All rights reserved. KUALA LUMPUR, April 30 (Xinhua) -- The Asian Football Confederation (AFC) this week is set to elect its new chief, who will have an uphill battle to restore the Asian football governing body' s tarnished image and reputation left by its disgraced former boss, Mohamed Bin Hammam. Almost all candidates have promised stern actions against corruption, more transparency and better governance for the AFC in the first poll in the post-Hammam era. Bahrain Football Association chief Shaikh Salman bin Ibrahim Al Khalifa, backed by Olympic Council of Asia (OCA) President Sheikh Ahmad Al-Fahad AL-Sabah, is widely seen as a frontrunner for the presidential race in the run-up to the AFC Extraordinary Congress to be held in Kuala Lumpur on Thursday. He is competing with other two candidates from the Middle East -- United Arab Emirate Football chief Yousuf Al Serkal and Hafez Ibrahim Al Medlej from Saudi Arabia, as well as Thai FIFA Executive Committee member Worawi Makudi, for the AFC presidency. Shaikh Salman is also running against Hassan Al Thawadi, a less known figure who led Qatar in winning the 2022 FIFA World Cup bid, for the FIFA executive committee seat. Shaikh Salman is making good use of his narrow defeat in 2009 by Hammam in the election of FIFA Exco seat to position himself as a rival against the Qatari, who was banned by FIFA for life for bribery during the FIFA presidential race in 2011. Shaikh Salman was reported as saying that he was confident to secure a two-third majority by winning 31 votes out of AFC' s 46 member associations. He has promised a series of efforts to clean up AFC' s reputation. However, Shaikh Salman' s own reputation is far from intact. He is under increasing criticism recently for his role as football association chief and member of the royal family in human right abuses against players during the Bahrain' s crackdown on anti-government protest in 2011. He is also related to votes-buying allegations during the FIFA seat election in 2009. Shaikh Salman has denied any wrongdoings. Makudi is largely discredited for being a close ally to Hammam, while Hafez Ibrahim was reported earlier that he would pull out of the race in last minute before the AFC Congress. A tight race may further rift the association. Caretaker chief Zhang Jilong has consistently called for unity. The new AFC president will complete the Bin Hammam' s remaining two-year tenure before facing another election in 2015, casting doubt on whether he would have enough time to complete any major reforms. James M. Dorsey, a football blogger and senior fellow at the S. Rajaratnam School of International Studies at Nanyang Technological University in Singapore, said most presidential candidates do not have a real reform agenda. "Al-Serkal is the only candidate that has laid out a program that addresses the fundamental problems wracking the AFC, but he lacks a track record of pushing for reform," he told Xinhua. Dorsey said AFC has not even started to recover from Hammam' s scandals. In a letter disclosed by media before the AFC Congress, AFC general secretary Alex Soosay warned AFC' s member associations against any kind of bribery, conflicts of interests during the elections. In the past two years, Acting AFC president Zhong Jilong, who took the rein after Hammam was banned, has tried hard to turn the regional football governing body around and successfully thwarted an attempted come-back by Hammam with the help of FIFA. During the last AFC Executive Committee meeting his chaired as AFC chief in March, Zhang urged exco members to "restore AFC back to its health and glory" while serve as "shining examples of honesty, integrity, and transparency." Zhang was once considered the leading figure for the presidential job, but announced that he would step aside before the nomination deadline. Dorsey said the Chinese tried to confront AFC' s major problems, but didn' t have the leverage to take on vested interests as acting president. "The presidential election is either not going to make a difference or could worsen things for the AFC. A defeat of Sheikh Salman by Qatar' s Hassan al-Thawadi in the battle for the FIFA Exco seat would be a step, but only a step forward," Dorsey said. Employment-related complaints by two international players, one of whom is barred from leaving Qatar, threaten to overshadow the 2022 World Cup organizing committee’s release of a charter of worker’s rights designed to fend off criticism of labor conditions in the Gulf state. In separate interviews French-Algerian player Zahir Belounis, who is locked into a salary dispute with Al Jaish SC, the club owned by the Qatari military, and Moroccan international Abdessalam Ouadoo, who left Qatar last November to join AS Nancy-Lorraine, complained about failure to honor their contracts and pay their salaries as well as ill treatment. The Qatar Stars League, the country’s premier league, did not respond to requests for comment. Mr. Belounis is locked into a court battle with AL Jaish to get payment of almost two years of unpaid salary. He has been barred from leaving the country in a bid to force him to settle for faction of what is owed to him. “This is a crazy story… I cannot move around freely, I cannot work anymore, I'm 33 years old ... Who wants a player who has not played for months? Frankly, my career takes a hit,” he told Jeune Afrique. Mr. Ouadoo said he was barred last summer from joining his club for three weeks of training in Spain. Instead, he was forced to train in the Gulf state’s excruciating summer heat when temperatures go up to 50 degrees Celsius “just to push me to forget my rights. They did everything to discourage me…. The Qataris think they can do everything because they think money can buy anything: buildings, jazz, beautiful cars and men… Human rights are not respected. Human beings are not respected. The workers are not respected. A country that does not respect all these things should not organize the World Cup 2022,” Mr. Ouadoo said. Mr. Ouadoo employed the very language the International Trade Union Confederation (ITUC) is using in a bid to persuade world soccer body FIFA to deprive Qatar of its right to host the World Cup by –re-running the December 2010 vote that awarded it to the Gulf state. The ITUC campaign follows two years of intermittent talks with Qatar with no agreement on demands that it endorse the principles of independent trade unions and collective bargaining, sensitive issues in a country in which foreign labor constitutes the vast majority of the population. Qatari labor law that enshrines the principle of kafala or sponsorship, under which an employee is beholden to his employer and that is at the root of the restrictions on freedom of movement that Messrs Belounis and Ouadoo experienced has long been criticized by human rights groups and is one key reason why the unions have turned on the Gulf state. In a statement the 2022 Supreme Committee said that “our commitment is to change working conditions in order to ensure a lasting legacy of improved worker welfare. We are aware that this cannot be done overnight. But the 2022 FIFA World Cup is acting as a catalyst for improvements in this regard.” The statement said monitoring and enforcement of the committee’s charter would be key once construction of stadiums and other infrastructure begins. Up to half a million workers were likely to be recruited for projects according to a recent estimate by Qatar labor undersecretary Hussain Al Mulla. Mr. Al Mulla appeared to be cutting back radically on earlier predictions that Qatar would be importing up to a million workers. A Bank of America Merrill Lynch research note reported that Qatar was negotiating with FIFA to reduce the number of venues for the tournament from 12 as proposed in its bid to eight or nine. Labor conditions “is a matter of utmost importance for all those involved in the organization of the FIFA World Cup in Qatar 2022. We have always acknowledged that the current state of workers’ welfare needs to be improved. From the very beginning, we have pointed to the power of football as a tremendous catalyst for tangibly improving labor conditions in Qatar and the region at large. From day one, we have been working towards this objective with much care and great dedication to ensure that this is a key legacy of our tournament,” the committee statement said. The statement described the ITUC appeal to FIFA as ‘disingenuous’ and charged that “this campaign is counterproductive and not in the spirit of collaboration.” The ITUC cited earlier the fact that it had not been consulted on the Supreme Committee’s charter as one of the reasons why it was now seeking to deprive Qatar of the hosting of the World Cup. Next week’s Asian Football Confederation (AFC) presidential elections designed to elect a leader to clean up two years of alleged financial mismanagement and unethical business conduct and polish the group’s tarnished image are increasingly marred by doubts that real reform is on the horizon, allegations of interference in the poll and controversy over the candidates’ track record. The marring comes against a background of the AFC’s failure, despite efforts by reformers, to project sincerity in achieving transparency and accountability after its president, Qatari national Mohammed Bin Hammam, was banned for life from involvement in soccer because of unethical conduct in his management of the group’s finances and business affairs. The group has failed so far to follow up on an internal PricewaterhouseCoopers (PwC) that almost a year ago recommended possible legal action against Mr. Bin Hammam and called for a review if not cancellation of the AFC’s foremost $1 billion contract to commercialize its rights. The impression of lack of sincerity is cemented by the allegations of political interference and fears of bribery in the campaign of some candidates, a majority of which are tainted by their past association with Mr. Bin Hammam, as well as past allegations of wrongdoing as in the case of Worawi Makdudi of Thailand which he has successfully refuted and in Sheikh Salman’s failed 2009 election campaign in which he was defeated by Mr. Bin Hammam. Sheikh Salman faces moreover assertions that his office identified athletes, including players for the Bahrain nation soccer team, who were arrested for their participation in anti-government protests, tortured and charged. Sheikh Salman has also been criticized for the fact that he has refused to denounce these alleged abuses of human rights. The allegations of interference in the election are bolstered by the fact that three of the four candidates – Yousuf al Serkal of the United Arab Emirates, Sheikh Salman bin Ibrahim Al Khalifa and Hafez Al Medlej of Saudi Arabia – hail from the Middle East. Alliances and active support for the front runners, Sheikh Salman and Mr. Al Serkal, mirror the political line-up of Gulf states. Kuwait publicly backs the Bahraini candidate, a reflection of the two countries frequent policy alignment with Saudi Arabia, versus the perceived Qatari backing for Mr. Al Serkal that groups the two states who often follow a more independent course. Mr. Al Medlej, who has hinted that he may withdraw at the last minute, does not seem to have significant backing even from his own government. While his Gulf competitors were on the campaign trail in private planes, Mr. Medlej said he only recently had money for his campaign deposited in his account. Besides campaigning for the AFC presidency, Sheikh Salman is competing with Qatar’s Hassan al-Thawadi for filling Mr Bin Hammam’s seat on the executive committee of world soccer body FIFA. Sources close to the AFC argue that the new president, who will be in office for less than two years to complete the term of Mr. Bin Hammam, will have little time for reform. As a result, they say Asian political and soccer leaders are focused on the 2015 election. “It takes six months to settle into office, six months to consolidate and then he’ll have six months to campaign,” said one source. The focus on 2015 explains why the Gulf has fielded three rather than one candidate. “It would have taken one call from the king of Saudi Arabia for the Emirati and other Gulf candidates to pull out. They could have played if they had wanted to play,” the source said. Saudi media quoted the country’s sports czar, Prince Nawaf bin Feisal, as predicting this week that a Saudi national would head the AFC two years from now. Nevertheless, politics is impacting next week’s election. It hardly helps the AFC’s image that the public campaign of front runner Sheikh Salman has in the recent weeks been dominated by defense of his record during the brutal squashing two years ago of a popular uprising in Bahrain. The allegations of interference in the election center on the endorsement of Sheikh Salman by the Olympic Council of Asia (OCA) headed by former Kuwaiti government minister, Sheikh Ahmad Al-Fahad Al-Ahmed Al-Sabah. Messrs Al Serkal and Al Medlej have denounced the OCA’s support as interference in the election. The OCA was reported to have offered in Sheikh Salman’s failed 2009 campaign several AFC members financial incentives if they voted for him. News reports said OAC officials have accompanied Sheikh Salman on several of his current campaign stops in Asia. Inside World Football, citing its own sources and Reuters, reported further that the OCA had built domestic pressure in China to persuade acting AFC President Zhang Jilong to drop his plans to run for office. Mr. Jilong, who headed the AFC’s finance committee under Mr. Bin Hammam, emerged as one of the Qatari’s strongest critics and initiated last year’s PwC audit. He was described as ash-faced when he announced several months ago at a private meeting the he was not a candidate in the AFC election. Bahrain this week accused the US State Department of “fuelling terror and terrorists” by charging in a report on Bahrain that "the most serious human rights problems included citizens' inability to change their government peacefully; arrest and detention of protesters on vague charges, in some cases leading to their torture in detention." The report criticized the "lack of due process in trials of political and human rights activists, medical personnel, teachers, and students, with some resulting in harsh sentences." It claimed that "discrimination on the basis of gender, religion, nationality, and sect persisted, especially against the Shia population" which makes up a majority in Bahrain, ruled by the Sunni Al-Khalifa dynasty. With the election shaping up as a close battle between Sheikh Salman and Mr. Al Serkal, the Emirati has emerged as the candidate with the most far-reaching program for reform of the AFC. He has nonetheless yet to convince proponents of reform that he would actually walk the talk. They note that his record as an AFC executive committee member under Mr. Bin Hammam does not serve as a credential. At the bottom line, the AFC has so far lacked the political will to tackle many of the same issues that also confront FIFA which like the Asian and other regional soccer bodies have been scarred by years of scandal. “It is all up to the AFC Congress. The problem is some members follow certain people’s suggestions,” said one source close to the AFC. The Egyptian Football Association (EFA) hopes to raise at least $17 million in an auction this week of the premier league’s television broadcast rights for clubs financially strapped by two years of political strife that has seen soccer suspended for much of that period and fans banned from attending matches. Egypt’s Satellite Broadcasting Commission headed by the chairman of crowned Cairo club Al Zamalek SC, Mamduh Abbas, has set EGP 120 million ($17.3 million) as the starting price of the auction that does not include radio broadcast rights and gives the winner the ability to parcel out segments of the league to different broadcasters. The targeted price for television broadcast rights constitutes a multiple of the $2.6 million paid by Qatar’s state-run Al Jazeera network in late 2011. It was not immediately clear whether Al Jazeera would bid again for the rights that fit into its building of a significant sports franchise that includes the rights for 23 countries to the 2018 and 2022 World Cups as well as to France’s top league and the launch of a sports channel in the United States. In a world in which top European clubs like Manchester United, Real Madrid and FC Barcelona have become global brands, Egypt boasts some of the Middle East and North Africa’s most popular teams, including Zamalek and its arch rival Al Ahli SC that is believed to have a fan base of 50 million. Al Jazeera’s drawback in the short term is that Egyptian matches have until now also been broadcast on free-to-air channels in a country where cable television penetration remains low. In a bid to give the winner of the auction confidence that he will not run afoul of the Egyptian Television and Radio Broadcasting Union, which controls all broadcast satellite uplinks, broadcast matches will display the union’s emblem. A successful auction would give a badly needed financial boost to clubs that are financially troubled and have often been unable to pay players as a result of Egypt’s political volatility since mass protests first erupted in early 2011 that toppled president Hosni Mubarak. Al Ahli along with five other premier league clubs -- Haras El-Hodoud, Ittihad El-Shorta, Bani Swaif Telephones, Arab Contractors and El-Dakhleya – withdrew this month from the Egypt Cup because they could not raise sufficient sponsorship. Soccer has been at the core of more than two years of protests with militant soccer fans playing a key role and the death of more than 70 Al Ahli fans in a politically loaded brawl in February of last year in the Suez Canal city of Port Said. The volatility remains as Egypt’s struggles to find a political balance and fans barred from both domestic and international matches after a year-long suspension of professional soccer in the wake of Port Said, the worst incident in Egyptian sports history, was lifted earlier this year. The ban was earlier this month expanded from domestic to international matches as a result of several incidents including a display by Al Ahli fans during a match against Kenya’s Tusker FC in which they blamed Egypt’s former top military commander, Field Marshal Mohamed Hussein Tantawi, who was the country’s de facto ruler at the time of the Port Said brawl, for the incident. Angry Zamalek fans blocked the entry to the sports ministry earlier this week with a banner that read: "The stand is closed on the orders of the ministry and the ministry is closed on the orders of the stand." Egyptian national team coach Bob Bradley cautioned that "a football match without spectators has no soul. Any footballer who has played in an empty stadium will confirm what an eerie, silent experience it is." With soccer fan activism not limited to Egypt, Al Ahli meets this weekend in an African Champions League match Tunisia’s CA Bizerte, a club whose fans this week fought pitches battles with security forces this week after their team was disqualified from the domestic league as a result of alleged match-fixing. The fans attacked banks and shops and hurled rocks at police who fired tear gas in response. Fan fury was sparked by a Tunisian Football Association decision to allow Club Africain rather than Bizerte to compete for the domestic title against Esperance Sportieve du Tunis, despite both teams coming second in their group with the same number of points. Club Africain and Esperance are Tunisia’s richest and two most popular teams. The Tunisian club announced on Tuesday that it was withdrawing from the CAF Champions League in protest at Monday's decision in favor of Tunisia's two richest and most popular teams. Bizerte initially said it would withdraw from the African tournament but then reversed its decision. International trade unions have called on world soccer body FIFA to deprive Qatar of its right to host the 2022 World Cup because it has failed to end what they term 21st century slavery and adopt international labor standards for the Gulf state’s more than one million foreign workers. In a letter to FIFA president Sepp Blatter dated April 16, International Trade Union Confederation (ITUC) General Secretary Sharan Burrow asserted that discussions with Qatari authorities since FIFA awarded Qatar the World Cup in a controversial December 2010 vote have produced no results. Ms Burrow said the ITUC had obtained a copy of a Charter for Migrant Workers that was drafted by Qatar’s World Cup organizing committee. She said the trade union was disappointed by the drafting process in which the committee failed to consult unions as well as its content. Sources said the draft charter was continuously being revised. In a press release, the ITUC, which refuses to publish the draft charter, charged that it “shows contradictions with Qatari law and fails to give workers any real rights or protection from slavery conditions.” ITUC did not detail the legal contradictions. Speaking in a telephone interview, Ms Burrow said ITUC’s campaign to take the World Cup away from Qatar was an effort to “escalate pressure” on the Gulf state. She said the ITUC would consider ways of stepping up pressure on FIFA and Qatar if the soccer body failed to opt for a revote of the awarding of the World Cup to Qatar latest at its general assembly in Mauritius at the end of May. “The government of Qatar has had two years to do two things: introduce freedom of association and the kafala (sponsorship) system that effectively mounts to 21st century slavery. The government has done nothing. How long are we supposed to wait and listen to the same things? Three years? Five years? Ms Burrow said. She was referring to the widely criticized sponsorship system common to various Gulf states that effectively deprives workers of their free choice and gives employees full control over their employees. Ms Burrow asserted that “hundreds of workers are dying and thousands more are injured in Qatar” as a result of its failure to adhere to international labour standards. “FIFA must act now- the longer the delay, the more workers will suffer and die,” she said. The union official said the demand to deprive Qatar of the World Cup was boosted by the corruption scandals overshadowing FIFA and world soccer that have yet to produce evidence of wrongdoing on the part of the Gulf state as well as debate on whether the tournament in Qatar should be moved to the winter months because of the region’s extreme summer heat. 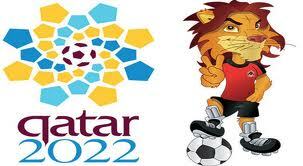 The demand to deprive Qatar of the World Cup constitutes a change of union tactics. While the ITUC has threatened to call on its 175 million members in 153 countries to boycott Qatar at a time that it is expected to recruit up to a million additional workers to construct billions of dollars in World Cup-related infrastructure, it had initially said it would first put Qatari promises to the litmus test. These promises included a legally non-binding oral pledge in November by Qatari Labour Minister Nasser bin Abdulla Alhumidi to effectively allow the formation of independent trade unions. "After a full and frank discussion, Qatar's labour minister assured me that if workers want to establish a union he will make sure that those who decide to join a union will not be punished. We will test him on that," Ms Burrow said at the time. ITUC officials said subsequently that they were preparing to establish a union in Qatar later this year. To be sure, few analysts or labour and human rights activists expect Qatar to allow free and independent trade unions and to accept the principle of collective bargaining – the two major issues dividing Qatar and the union. In a bid to fend off union demands, Qatar has moved to improve workers’ living and working conditions. It is seeking to ensure enforcement of safety and security standards, monitor on-time salary payments, reduce the number of workers living in one room from eight to four, and is building a city for workers that would include hitherto non-existent recreational facilities. It is also reviewing much criticized recruitment procedures that reinforce the sponsorship system and leave workers heavily indebted. In a break with Gulf reluctance to give foreign nationals a stake in their host nations, Qatar’s soccer league said this month that it plans to create a league for un- and low-skilled guest workers who account for the majority of the country’s population. The decision follows this month’s successful organization of a soccer tournament for foreign workers deprived of relaxation and entertainment facilities. The league would involve 32 clubs, double the number that competed in the tournament. In a region in which lop-sided demography is the elephant in the room when it comes to the future of the smaller states, Adil Ahmad who was identified by a Gulf newspaper as executive director of the Qatar Stars League (QSL) was quoted as saying in what would be an almost revolutionary statement that the idea of the foreign workers’ league was “to give low-income workers a sense of belonging in the country they serve.” Hani Taleb Ballan, the QSL deputy director was quoted as saying that the league would workers give “a fair opportunity to enjoy the life they had in their countries of origin in Asia and Africa”. In an email, the QSL denied that Mr. Ahmed was a QSL employee or had any authority to speak on beahlf of the League. "He has no business within the Qatar Stars League and therefore cannot be quoted as a member of the QSL's upper management," the email said. The QSL also denied that Mr. Ballan had commented on the issue. Qatar University sociologist Kaltham Al Al-Ghanim recently called on the country’s sports clubs to set up branches in the capital’s Industrial Zone where many of foreign workers are housed “to channel their energy to productive avenues and hunt for sporting talent.” She cautioned that if foreign workers were allowed to “live on the social fringes, the danger is they would take to illegal activities and emerge as a threat to social security.” Ms. Al-Ghanim argued further that this would offer Qatari clubs an opportunity to spot local talent. Smaller Gulf states whose nationals constitute a minority of the population have until now gone out of their way to ensure that foreigners have no sense of belonging out of fear that this would encourage them to stand up for their rights. Critics of the ITUC’s demand to deprive Qatar of the World Cup charged that the union was being sensationalist and that there was still room for negotiation. “The ITUC makes the situation look a lot simpler than it is. The situation is not black and white. They are being sensationalist,” said an independent labor analyst. The critics charged that the ITUC’s demand robbed it of the leverage it had obtained with the awarding of the World Cup to Qatar. Human rights groups have long criticized Qatar and other Gulf states for their labor practices. But unlike the ITUC they never had more than moral leverage. Qatar’s dependence on foreign labor for its World Cup infrastructure enhances the ITUC’s power given that it in contrast to the human rights activists can mobilize millions of people. “What happens to the workers if Qatar loses the World Cup? The ITUC loses its bargaining chip. Moreover, they are campaigning for taking away the World Cup even before the bids for construction of stadiums have been awarded. Qatar’s construction boom will continue with or without the World Cup. Even if they lose those workers, others will come. It’s the market’s push and pull factor. If the Nepalese don’t come, the Bangladeshis will. If the Bangladeshis don’t come, the Vietnamese will and if the Vietnamese don’t come, the Chinese will,” the analyst said. Plans to launch an Association of Southeast Nations Football Federation (AFF) Super League with Singapore-based World Sport Group (WSG) as its marketing partner come against the backdrop of an Asian Football Confederation (AFC) presidential election that could put the company’s $1 billion marketing rights agreement with the Asian soccer body in jeopardy. The new league would be independent of AFC competitions. It would initially kick off in 2015 with eight franchise teams but would likely grow to 16. Major Southeast Asian soccer nations, including Thailand, Malaysia, Indonesia and Singapore would have a limited number of franchises to ensure that upcoming countries like Laos and Myanmar are also represented. AFF council member and AFC vice-president Prince Abdullah Ibni Sultan Ahmad Shah told Reuters that "the AFF has agreed to further develop the proposed concept of the ASEAN Super League together with World Sports Group to be presented to the AFC in the near future.’ The AFF needs the AFC to ensure that the winner of its Super League can compete in Asian championships. Sources said WSG had approached AFF to be the Super League’s marketing partner. “They have a long-term relationship with the AFF and are trusted by the member associations. We asked them to come up with something that works. We made clear to ESH that this is not about money, it is about improving national leagues and clubs,” one source said. The sources said the league was part of a greater effort to empower regional associations and win AFC recognition. “We have been discussing the super league for years in an effort to develop our profile. We have zero power. Unlike FIFA or the AFC, we can’t compel member associations to do anything. It’s a way of developing training academies and making clubs self-sustainable so that they are not just a billionaire’s vanity project,” one source said. AFC insiders suggested that although the value of the Super League’s revenues was likely to fall short of those of the AFC that are generated primarily by East Asian nations such as Japan and South Korea, it could constitute a fallback position for WSG should the company lose its Asian contract. 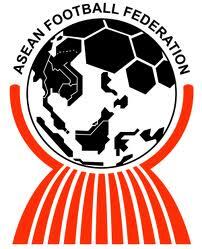 Sources pointed to the financal success of the AFF’s Suzuki Cup as well as the commercial potential of soccer in countries like Indonesia and Singapore. At the same time, the West Asian Football Federation (WAFF) recently put out a tender to replace WSG as its marketing partner after the Singapore company’s contract expired. WAFF is believed to have received several competitive offers. WSG’s AFC contract is an issue in the AFC presidential campaign that centers on questions of greater transparency, accountability and openness after two scandal-riddled years involving allegations of financial mismanagement and corruption under the leadership of its disgraced and banned former president, Mohammed Bin Hammam. Of the four presidential candidates in the May 2 election -- Yousuf al Serkal of the United Arab Emirates, Worawi Makdudi of Thailand and Hafez Ibrahim Al Medlej of Saudi Arabia and Bahrain Football Association head Sheik Salman bin Ibrahim Al Khalifa --, Mr. Al Serkal has gone the furthest in promising reforms that could affect the WSG contract. The UAE soccer executive unveiled earlier this month a platform that promises to publish “all allowances and benefits given to me by the confederation, and expenditure incurred by my office,” establish a whistle-blower hotline encourage the exposure of wrongdoing, make all the AFC’s commercial contracts available to its members for scrutiny, and hire auditors to look at current agreements. Mr. Al Serkal stopped short of saying that he would implement the recommendations of a PricewaterhouseCoopers (PwC) audit that last year concluded that Mr. Bin Hammam had used an AFC sundry account as his personal account and that raised questions about the negotiation and terms of WSG’s master rights agreement. The audit noted that the contract had not been put to tender and questioned its terms as well as payments made to Mr. Bin Hammam by a WSG shareholder in advance of the signing of the agreement. It advised the AFC to seek legal advice for possible criminal or civil charges against Mr. Bin Hammam and to ascertain whether the contract with WSG could be renegotiated or even cancelled. Mr. Al Serkal’s foremost opponent, Sheikh Salman, widely viewed as a frontrunner because he is backed by the Kuwaiti head of the Olympic Council of Asia, Sheikh Ahmad Al Fahad Al-Sabah, insisted in a meeting with reporters in Dubai on Tuesday that he too would address the issues raised by the PwC audit but provided less specifics on how he would go about it. Sheikh Salman, a member of the Bahraini royal family who besides running for the AFC office is competing with Qatar’s Hassan al-Thawadi for a seat on the executive committee of world soccer body FIFA, seemed equally interested in arguing that the AFC presidency should automatically grant him a seat on the FIFA board should he be elected. The only candidate who is not associated with Mr. Bin Hammam, Sheikh Salman focused much of his reform agenda on fighting match fixing in a region that is at the center of the distortion of the beautiful game. He said he would have zero tolerance for offenders and would enlist the help of governments. "I think people have sensed the wind of change. I think I represent the new face of Asia. People who want to vote for the change, the choice is clear. If people want to leave matters as they are, they have the right to do so. I think for the last few years it's been like a roller-coaster up and down that the AFC has suffered. I think it's time to steer the ship to calmer waters… We want a clean AFC, we want to do the changes that are needed, the transparency," Sheikh Salman said. Tweeting on social media platform Twitter, Dubai-based Associated Press sports reporter Mike Casey described Sheikh Salman’s notion of transparency when asked by another reporter about the arrest two years ago of three Bahraini national soccer team players for having participated in a popular uprising that was brutally squashed. Sheikh Salman has systematically refused to comment on the fact that the players were denounced as traitors on state-run television, allegedly tortured and charged. The charges were ultimately dropped under pressure from FIFA. "My response is let's talk about football and leave the political side to the other people who deal with that. We hear reports a lot from all sides and I am here to talk about the elections. I don't want to talk about these matters because the moment you talk about it, it opens the door. Since I have been in charge of football here in Bahrain, we always leave religious and political matters and views outside to try to focus on the game,” Sheikh Salman said in Dubai. The nexus of sports and politics in Bahrain was however evident this week with members of Bahrain's village-based February 14th Coalition youth movement exploding a series of non-lethal devices in protest against Bahrain’s Formula One Grand Prix. The attacks dubbed Operation: Ultimatum 3 followed mass demonstrations against this week’s staging of the race at a time of continued political and social strife organized by Bahrain’s official opposition that included a 1.6 kilometer long stretch of protesters blocking a key highway. At least one other reporter was barred from attending the news conference because of critical reporting on Bahrain. Tunnel vision prevails on opposite shores of the Gulf where governments execute policies based on perception rather than reality. They run the risk of being incapable of managing tensions that could threaten shipping through the strategic Strait of Hormuz as well as create domestic turmoil in both Gulf states and Iran. A WIDENING schism along sectarian lines between Sunni and Shia Muslims was highlighted in two recent conferences, one in Bandar Abbas, Iran, the other in Bahrain. Both were designed to promote opposing government views of popular unrest and discontent sweeping the Middle East and North Africa and the Islamic republic’s role in the region. Senior Iranian officials stressed the geo-strategic importance of minority Shia communities, who inhabit oil and water-rich regions in Arab Gulf states, while Bahrainis, supported by senior representatives of the US Republican Party, dismissed domestic unrest in their part of the world as the result of Iran’s interference. Yet, the widespread popular discontent was palpable in March just metres away from the conference halls in both Bandar Abbas and Bahrain. That discontent is being fuelled by increased repression in Iran in advance of presidential elections in June and a refusal in Bahrain to address the issues that sparked a popular revolt on the island two years ago. 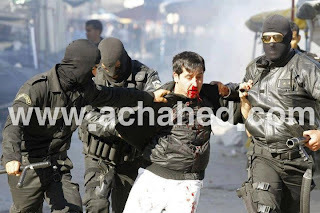 Bahraini security forces brutally supressed the uprising that continues to smoulder in villages outside the capital of Manama and is fracturing Bahraini society. The government response to the uprising turned what intially was a call for reform by by both Bahrain’s Shia majority and members of the Sunni minority into a proxy tug-of-war between two of the region’s foremost powers, Saudi Arabia and Iran, with the island state paying a heavy price. Sunni teachers often refuse to cross sectarian lines to give classes in Shia majority neighbourhoods and view some areas as no-go zones. Students miss lectures because of security road blocks. Shias and Sunnis segregate themselves in university classrooms and reject professors’ efforts to get them to single. Youths regularly die in clashes with security forces. Few Bahrainis expect a national dialogue between the government and the opposition to produce any results despite US and Saudi pressure. Opposition demands that Crown Prince Salman Al Khalifa - who has favoured granting Shias historic concessions, including a larger number of seats in parliament - participate in the dialogue have so far been rejected by a dominant hard-line group within the royal family that has gained control of security and intelligence. The opposition, for its part, has signalled its lack of confidence in the dialogue by only sending lower-ranking officials to the talks. Few further believe that either the United States, which has its Fifth Fleet headquartered in Bahrain, or Saudi Arabia want to upset the apple cart. Saudi Arabia, which two years ago dispatched troops to Bahrain, is unlikely to want to see Shia majority rule in a country that is a mere 45-minute drive from its restive, oil-rich, predominantly Shia Eastern Province. Yet, it has recently signalled that it would favour concessions to the Shias provided the Sunni monarchy remains in place. In contrast to Saudi Arabia, US pressure for a compromise has cooled relations with the Obama administration. Speakers at the Bahrain conference under the auspices of the University of Bahrain included conservative former US ambassador to the United Nations John Bolton and Dan Burton, a Republican from Indiana who was until January head of the US House of Representatives Foreign Affairs Committee, but no Obama administration officials or spokesmen for the opposition. In fact pro-government newspapers referred to the US president as “Ayatollah” Obama. To be sure, Bahraini concern about Iranian encouragement of dissent is not without reason. As early as in the first year of the 1979 Islamic revolution, Iran hosted a miniscule group that called for the liberation of Bahrain. Moreover, Iran’s decades-old occupation of three islands in the Gulf that are claimed by the United Arab Emirates, inspires little confidence in its designs for the region. Nevertheless, with talks in Kazakhstan in early April between the five members of the UN Security Council plus Germany and Iran over the Islamic republic’s nuclear program producing little progress, Iranian officials labour under the psychological impact of international isolation and hard-hitting sanctions. The impact is obvious in the regime’s increasing pervasiveness, its fear-inspired penchant for control, a preference among officials for monologue rather than dialogue, and a dread of foreigners reminiscent of the former Soviet Union and North Korea. Foreign academics invited to the Bandar Abbas conference encountered among senior Iranian officials and scholars a self-righteous bunker mentality and a bazaar merchant's penchant for deception and half-truths. In a break with a culture that prides itself on its diplomatic, artistic and gastronomic sophistication, officials and clerics embarked on diatribes of at times crude propaganda. Iranian speakers played up Iran's role as a regional power, the strategic geography of Shia Muslims in oil and water-rich parts of the Gulf, the discrimination suffered by Shias in countries like Saudi Arabia and Bahrain and the alleged subservience to the United States of wealthy Gulf states who blame Iran for stirrings of unrest within their own borders. Foreign ministry officials and associated think tank figures used their role as moderators to rudely cut off their foreign guests so that they could embark on a drumroll of lengthy, highly politicized and ideological speeches. The degree of control became further obvious when several foreign participants who ventured into town on a shopping spree were intercepted by security officials allegedly for their own protection. Foreigners are not the only ones to run afoul of the regime’s suspicions and bunker mentality. Ahmad Shaheed, the United Nations’ monitor for human rights in Iran, warned in a report last month that the crackdown was intended to stymie potential protests linked to the upcoming election. Iran brutally suppressed protests in the wake of its 2009 presidential election. Iranians say that the government in recent weeks has established absolute control of access to the Internet, making impossible circumvention of censorship with specialised software. James M. Dorsey is a senior fellow at the S. Rajaratnam School of International Studies (RSIS), Nanyang Technological University and director of the University of Würzburg’s Institute of Fan Culture, and the author of The Turbulent World of Middle East Soccer blog. Click here for past commentaries. subscribe to the Centre's publications.